Chutney is such a wonderfully versatile condiment. There are just so many fruits that lend themselves to chutney, and just as many dishes and ways to eat it. The down side to homemade chutney is that it's even better if aged for 3 months. Who can wait that long!! This recipe takes advantage of the deliciously sweet persimmons that arrive in the grocery stores in the fall. My goal this year was to produce a chunky light-color permission chutney. Also in this recipe are a Bartlett pear and a garam masala* spice blend. In the pan, combine all ingredients - except the persimmons, sugar and white wine. Bring to a boil over medium-high heat, stirring occasionally with a wooden spoon. Reduce heat to medium-low and simmer until mixture thickens, stirring frequently. Add sugar about 15 minutes into the cooking. (Note: over cooking the sugar may make the chutney darker.) Continue to cook the mixture about 5 to 10 minutes more. If mixture appears too dry, add 1/4 cup of white wine. Add persimmons and simmer until the persimmons are tender, about 5-10 minutes. Then remove to a clean container. I don't discuss canning in this recipe but here a couple of tips also from Allotment Garden: Make sure jars are sterilized and "[with] ordinary jars, the covers are most important. Vinegar corrodes metal, so use plastic screw or snap-on types or the metal ones coated inside with a plastic preserving skin." If you are unfamiliar with garam masala spice blend, it is a "hot" mixture of ground spices frequently found in Indian, Pakistani and South Asian cuisines. According to Wikipedia, a typical India garam masala mixture includes black and white peppercorns; cloves; cinnamon or cassia bark; mace (nutmeg); black and green cardamon pods; bay leaf and cumin. Western garam masala mixtures will include most of these spices but may add other spices such as ginger. One method for blending the spices is to use whole seeds, pan-dry roast, then grind. 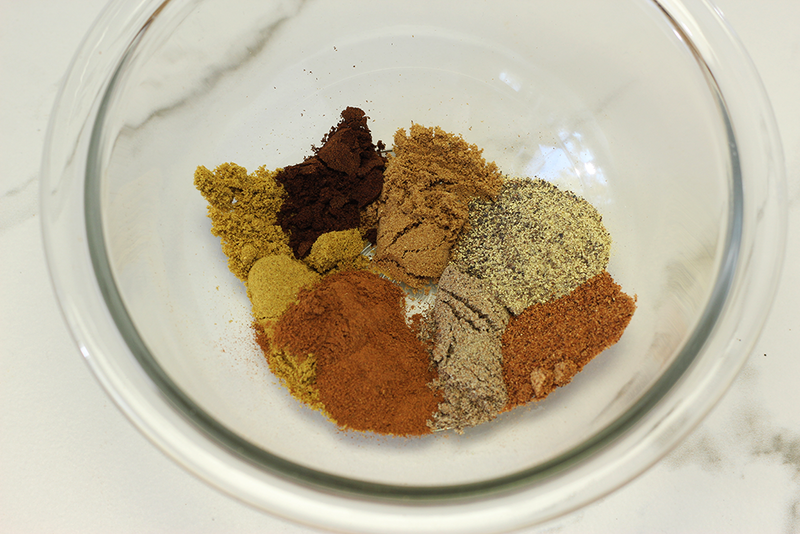 A second method is to use the ready-made ground spices and mix it yourself. And finally, you can just purchase the spice blend already made. I actually tried the first two methods. While it's a little more work, I prefer blending the spices using pan-dried whole seeds and then grind to a powder. The spice flavor is more pronounced and the chutney more clear. The pre-ground spice blend tends to make the chutney dark. For making your own garam masala spice blend, please see my post on Garam Masala - Use Whole Or Pre-Grounded Spices. Looking for ways to enjoy chutneys? Make a chutney butter (just add to softened butter) I smell toast with chutney butter and coffee! 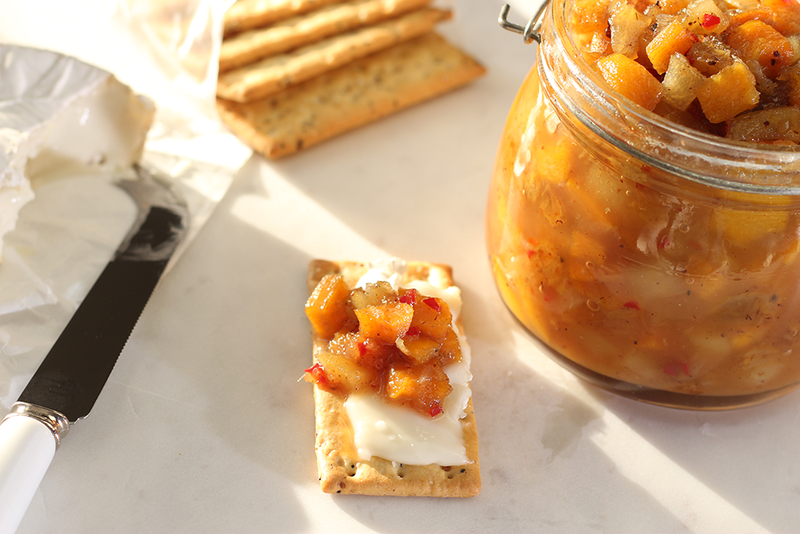 Persimmon chutney on Brie cheese and grain cracker. 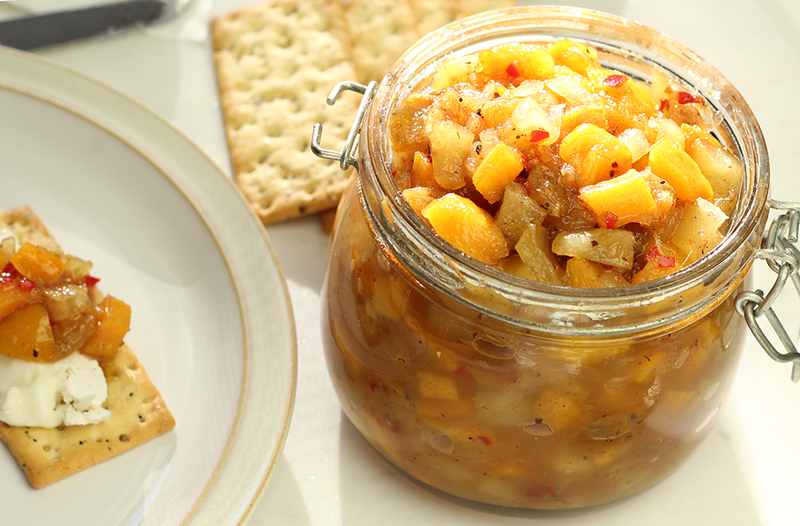 What's you favorite fruit for a chutney and how do you serve it?